89 years ago, young Walter Elias Disney unleashed a rodent-infested cartoon named Steamboat Willie. It changed animation forever. 89 years later, StudioMDHR (finally) unleashed a game named Cuphead. It didn’t change gaming forever - but, by golly, it sure looked killer-diller. It sure sounded killer-diller, too. Then there was the playability. Oh lordy it was, well... gosh-dickensy hard! Too gosh-dickensy hard, to be frank (who wasn’t Walt’s brother, as that way Roy). But it sure looked swell. Super swell. If looks were everything, then Cuphead would be the greatest game ever. Seriously, it’s a doozie in its recreation of classic animation stylings from Disney to Warner Bros to Fleischer, Iwerks and all other comers of the golden age of American animation. 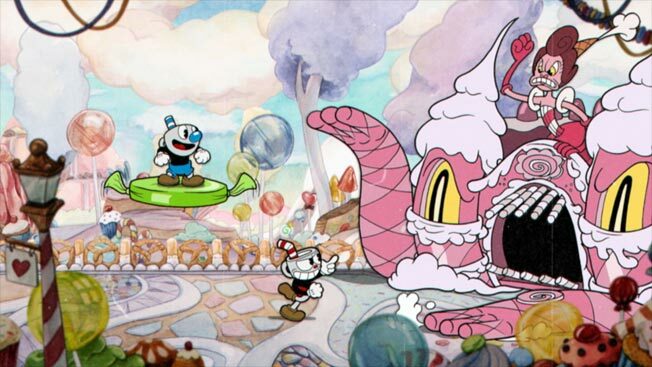 Yep, visually, Cuphead has pizazz. We think we’ve established that. Sonically, it’s majestic in its faithfulness to its inspirations. If we hadn’t established that previously then we sure have now, by gum. But our question is this: If you’re going to make such a beautiful-looking (and sounding, in case you’ve forgotten) game, why make it so close to impossibly hard so that few will experience your incredible work? A fairly standard side-scrolling platform run-and-shoot affair, it’s the art (and sound) that makes Cuphead special. But it’s the flipping Dark Souls of platformers! It’s hard, even sometimes on the basic, you-can’t-progress-if-you-wuss-out-and-go-this-route setting. Actually, it isn’t hard, it’s punishing. It almost taunts you in its need for repeated, relentless pinpoint accuracy in order to advance. We’re always up for a challenge, but when we want to kick in our screen after several failed attempts at a level rather than getting that itch to beat the thing, then something’s unbalanced. It’s nuts that many - like us - will stop futzing after a while and toddle off to play something that’s actually fun.